C3DNA's Application-centric automation provides application deployment, delivery and management for Hybrid Clouds. To enable infrastructure-independent automation, the platform leverages its Meta-Container which abstracts application processes from the underlying infrastructure. This abstraction combined with C3DNA's Application Area Network Technology not only helps monitor the application processes that it hosts, but it also enables instant mobility for application processes across any infrastructure in response to policy actions. A Service Blueprint is a JSON text file that captures the definition, configuration and relationships of all application components that comprise a service or application workflow. Additionally a blueprint can also define application-specific policies that will dictate how individual applications or the entire application workflow should behave after deployment. However policies can be dynamically updated after deployment. The platform allows for the definition and execution of application-specific policies that dictate how individual applications or the entire application workflow should behave after being deployed. A key differentiator of the C3DNA platform is it ability to modify execution dynamically using policies. This means that policies can be specified even after deployment and applied to an already running application components or workflows. Policies can be applied either using the command line through a JSON file or through the GUI. One of the keys to C3DNA's application centric management is the establishment of a clear logical separation between infrastructure and applications. 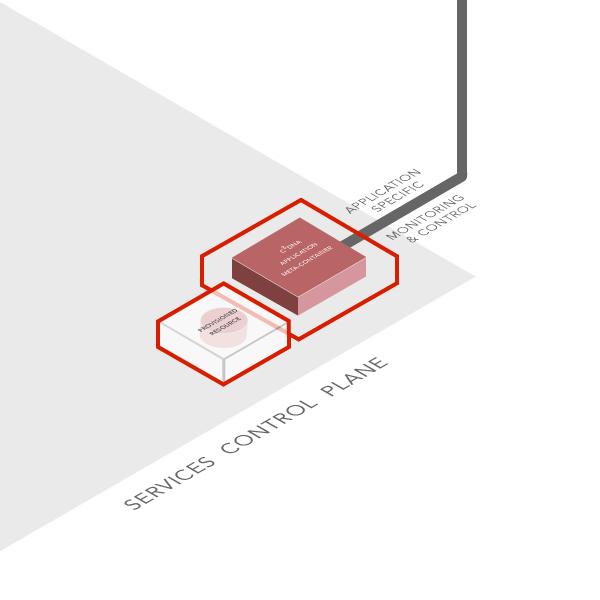 The Infrastructure Control Plane (ICP) is an abstraction of the underlying distributed infrastructure - i.e. Bare Metal, VMs or Cloud. The ICP provisions initial resources based on requests it receives from the Services Control Plane (SCP) on the behalf of Applications. In addition to making initial provisioning requests the SCP make requests to add or delete resources as required by applications based on policies. The ICP then specifies potential alternate resources based on changes requested by the SCP. 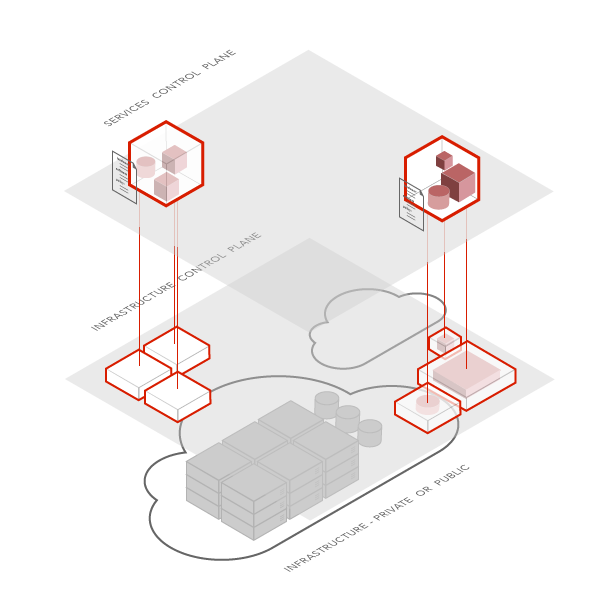 The Meta-Container is an OS-based application abstraction that provides the basis for C3DNA's infrastructure-independent application management automation and mobility. 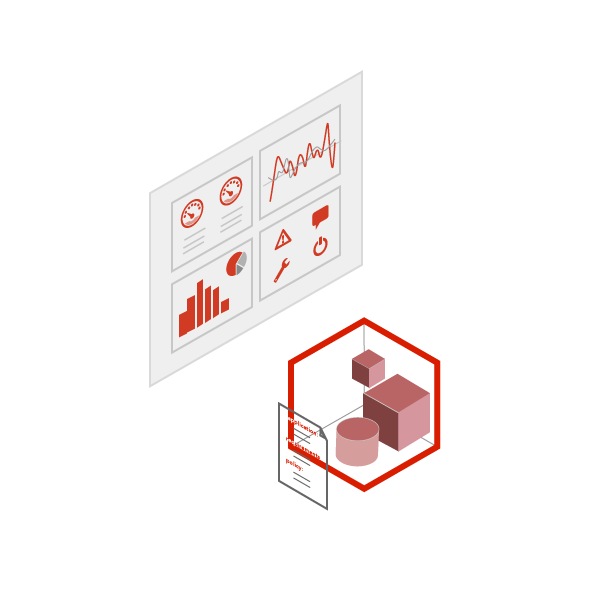 The Meta-Container encloses application components and provides real-time application-specific monitoring information to policy-enforcers. The Meta-Container also receives control commands from policy-enforcers. 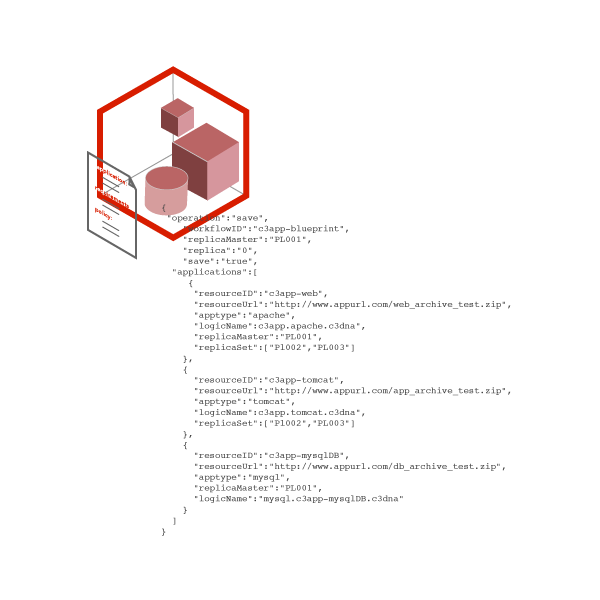 By monitoring and then responding to application-specific policy events, Meta-Containers help automate various application life-cycle management tasks. Additionally at the request of policy-enforcers, Meta-Containers can forward or redirect application protocol to other local or remote Meta-Containers. This along with C3DNA Application Switching technology serves as the basis of instant application mobility across infrastructure. An Application Area Network (AAN) represents a virtual policy-driven management network that is established between all the application components belonging to a service or application workflow. The AAN delivers end-to-end services which are managed using policies. Once established the AAN can manage itself and all the application components it comprises, as it evolves in accordance with application policies. The C3DNA platform monitors application-specific information at every level in an application workflow. This information can be aggregated and correlated by transaction to provide granular transaction-level visibility. Additionally, real-time application monitoring information is made available to policy-enforcers to facilitate dynamic policy-based automation. The C3DNA platform uses real-time monitoring of application health, performance, configuration, accounting and security related parameters, to dynamically manage, scale, move or tune applications and resources where possible to ensure performance (QoS), budget or security requirements. Policies can be applied dynamically at runtime. This means applications that have already been deployed can be managed via policies that can be modified, updated and then enforced dynamically in real-time after deployment. 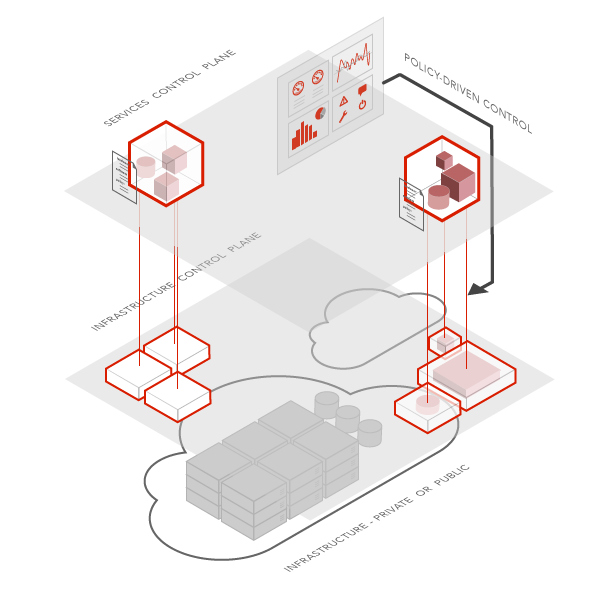 Unlike other state-of-the-art Application Management solutions which rely on VM or infrastructure orchestration, the C3DNA platform uniquely uses an approach called - Application Switching. With this approach, application processes that belong to an application work flow are monitored and managed as nodes in an Application Area Network (AAN). In order to scale or move applications, C3DNA simply adds or moves nodes to the AAN and simply redirects relevant application traffic to the appropriate nodes.